Hello friends! 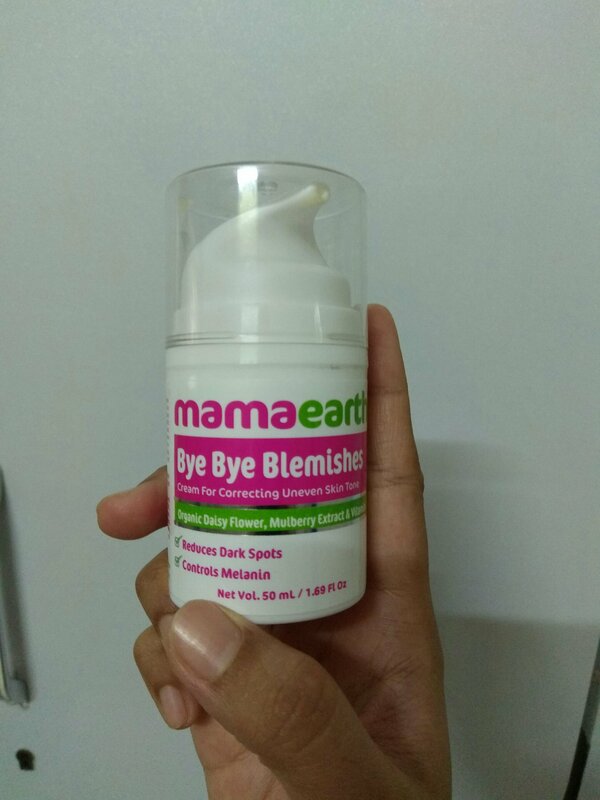 A few days back, I received this lovely product from Mamaearth: Bye Bye Blemishes Cream for Mamas. I believe it is something that I was waiting for since long. In today’s time, all of us are susceptible to skin issues, be it dark spots, blemishes or other skin related problems. The reason being the climate and other conditions. This makes our confidence low and we are usually depressed because of this, as our face is a mode of contact with others. What could be a solution to get rid of akin related issues? 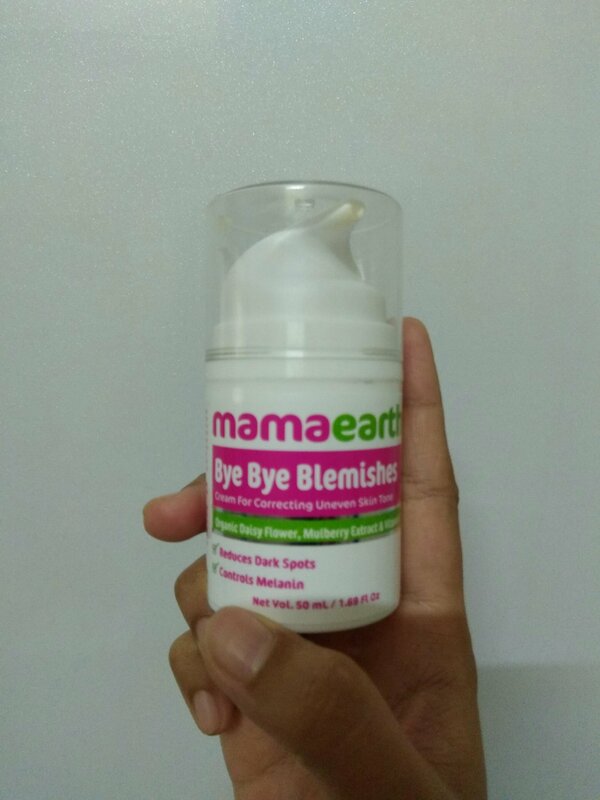 Well, Mamaearth’s Bye Bye Blemishes Cream is the answer. It is enriched with Mulberry Extract, Organic Daisy Flower Extract and Vitamin C. It is 100% Made Safe and Organic. It is thus good for the skin and useful in treating stubborn blemishes and helps in regaining a healthy and glowing skin which is seamless. I started using this cream since a week and loved the results. I don’t have excess of blemishes or spots on my face, though a few, but this cream has helped to a great extent. The cream is consistent and not runny and blends well with the skin. Use it daily for visible results. I absolutely love the product and would love to encourage my readers and friends to use it. Have you tried it? Share your thoughts and review in the Comment’s Section. This blemish fade cream from mama earth sounds quite good. I’ve got to give it a try. Previous Previous post: Saving Water the #CuttingPaani Way! Next Next post: Why I am glad to #SayYesToTheWorld!